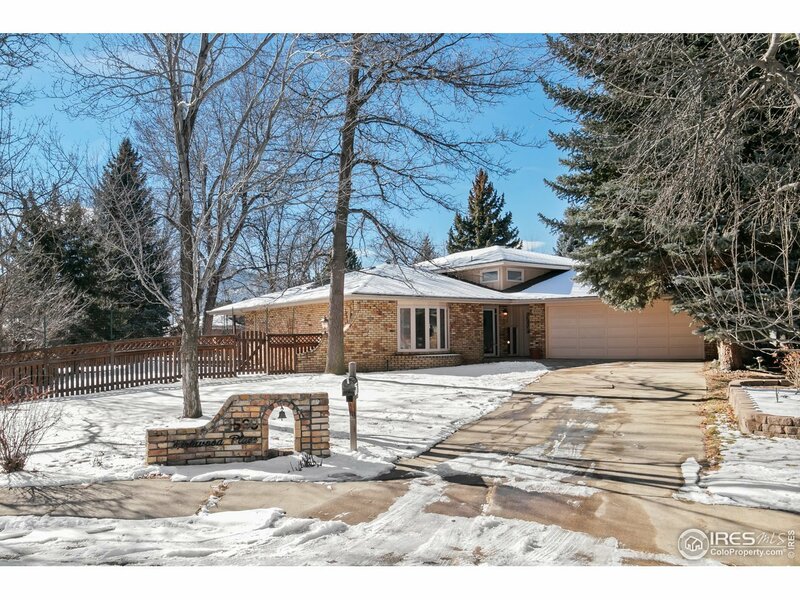 .33 acre lot in Central Boulder! 4 level floorplan; Flatirons views from masterbed rm; Renovated: 3 baths, study, laundry, cherry cabinets, granite; Wine cellar; NEW: roof, SS appliances, hot water tank, furnace; Heated gar; Water rights keeps yard green w/o paying city water; 800 sq ft Brazilian Redwd deck; Garden Shed; Mature trees; Privacy; Cul-de-sac; Near: 3-6 million dollar homes, cafes, shopping, Pearl St; You&apos;ll love this home and neighborhood. Move-in-ready, add your decor touches.